House of Lashes recently came out with their new Lash Story Book which holds up to ten pairs of lashes (sold separately), as well as two mini lash adhesives (also sold separately). This chic book is literally my new favorite discovery. I just love that it safely and conveniently houses my favorite lashes. And the fact that it also contains a compartment to store lash adhesives makes this book that much more handy. 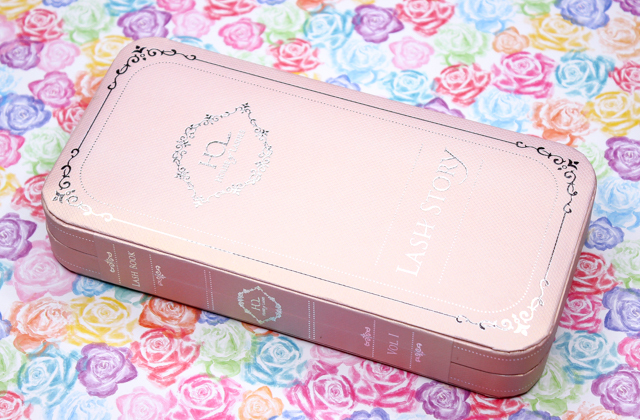 The Lash Story Book has a magnetic closure and it's very lightweight. Pretty sturdy too. Even though it's a little bulky, I personally wouldn't mind traveling with this. I think makeup artists especially would love this Lash Story Book, since it's so easy to bring along to appointments. Here is my Lash Story Book with ten of my current go-to lashes which I added, and the two mini lash adhesives. So easy and fun to fill up! I am already a fan of House of Lashes' dark lash adhesive-so good. And I am really looking forward to trying out the white lash adhesive. These are latex free, and waterproof. Overall: Throughout the years, I have accumulated quite the number of false lashes. To be honest, I think my collection is a little overwhelming at times. 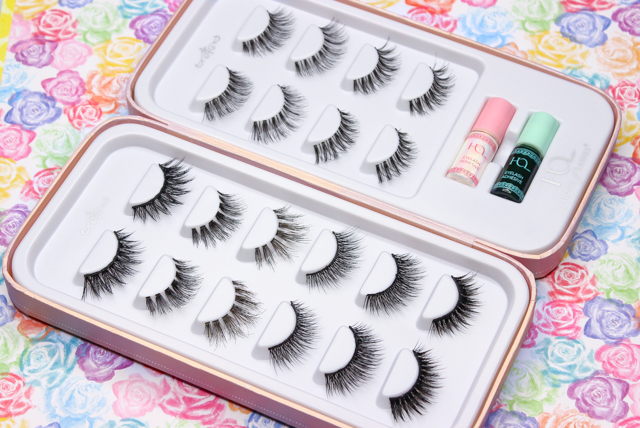 But thanks to House of Lashes' Lash Story Book, I can finally get a little more organized when it comes to my lashes. It makes for a great space-saver too. This product gets a huge two thumbs up from me, and I can't rave about it enough! You need! What do you all think of the Lash Story Book from House of Lashes? I am the opposite of you: I've worn and owned only a handful of falsies in my life! But I do love the idea of getting a full set of lashes like this.